There are not many cases in which Fridays play second fiddle to Thursdays, but today is one of those occasions. 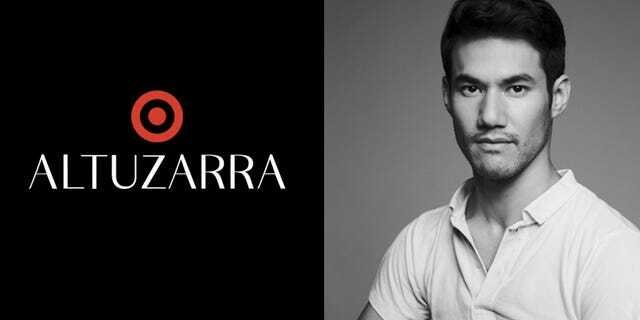 This morning, we arrived to work to the news that Joseph Altuzarra has officially signed on board to be Target's next designer collaborator. That's right: The big, old bull's-eye is getting a dose of seriously elegant style by way of one of New York's most celebrated young designers. 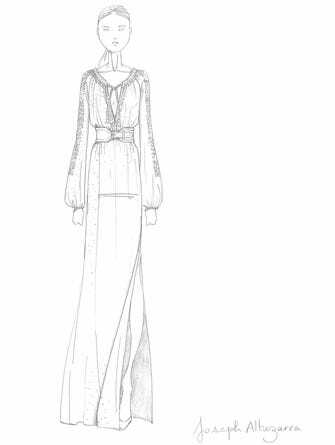 With little more than a single sketch to tease the designs to come, we can surmise this: The 50-piece collection will feature a feminine, full-sleeved maxi-dress, and likely other designs that completely elevate work-meets-cocktails-wear, courtesy of the former CFDA/Vogue Fashion Fund winner. Once again, the collection will not only be available in Target stores and online, but also through Net-A-Porter, which first joined Target for its Peter Pilotto collaboration just last winter. The Joseph Altuzarra for Target collection, all priced from $17.99 to $89.99, will officially arrive September 14, once again providing the perfect post-Fashion Week treat for the masses. Click through to see the boudoir-scene teaser video, as well as a sketch, on the next page for more subtly exciting hints. As you might assume from the video, Altuzarra will also be creating lingerie for Target shoppers. Lace masks included, we'd guess.